Consenting adults should be free to put what they want on their pizzas. Some people like it, and others have no right to dictate their taste. 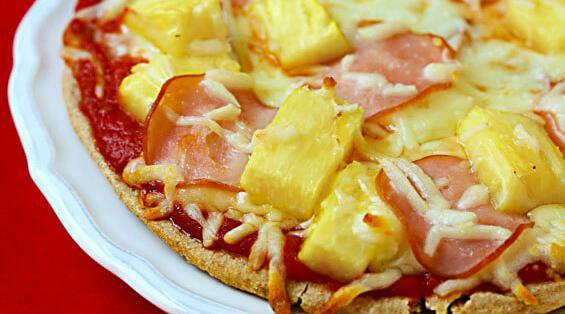 Pineapple brings common pizza up to the level of prosciutto e melone. It's an elevated experience that, while it may be an acquired taste, is worth persevering with. Since pineapple exists as an option for a pizza topping, there is no question that people have the privilege to put it on their pizza. No one should get in the way of other people's enjoyment. If people get abhorred by seeing pineapple on pizza, at least people should be able to enjoy it from the comfort of their own home. Some people like to put pineapples on their pizzas and some don't, people should not care if others put pineapples on it or not. The Pineapple juice infects the rest of the pizza ruining it for everyone else who doesn't like pineapple on the pizza. The rights should not stop at adults. Minors (i.e. underage people) should be able to have whatever they want on their pizza too. Which food ingredients are recommended to belong together should be decided by reason and knowledge. People are of course free to combine whatever ingredients in any way they want, but that does not mean we can't make a good recommendation. One could add some pineapple to pizza as a personal preference or once in a while due to an accident or boredom, but that hardly implies that it somehow 'belongs' there (i.e. anytime and all the time for anyone). People are always dictated in life by what they can and cannot have. As there are limits that exist in reality, this idea is more ideal than something that can be implemented.